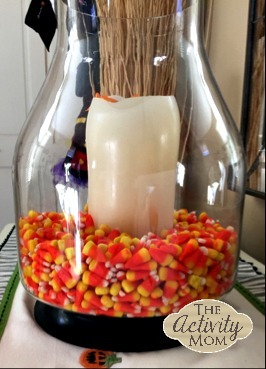 I love to make a teachable moment out of just about anything, so when it’s time to change my seasonable centerpiece, that’s exactly what we do! 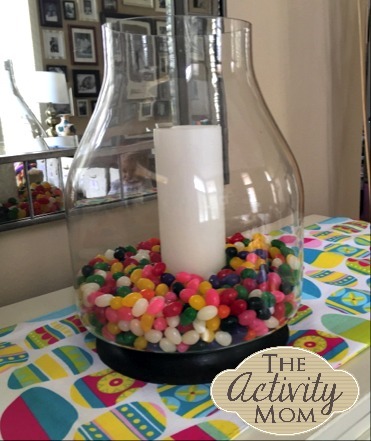 All you need is a clear glass container to hold a candle, and jellybeans…the more the better! 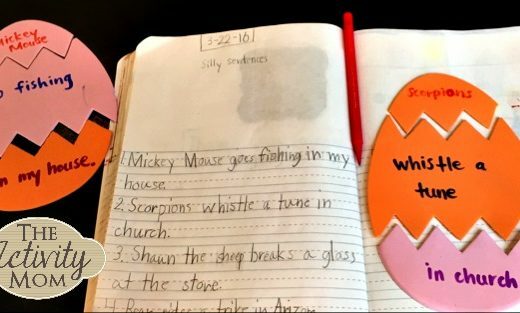 We usually hit up the Dollar Store early in the season, because we use about 8-10 bags of jellybeans, and they can get expensive. You can store them in Ziploc bags after the season when you are ready to change your centerpiece, and freeze them for the following year too! First, I had my girls each make some estimations. We estimated how many jellybeans they thought were in each bag we purchased, and how many bags there would be all together, in all 8 bags. 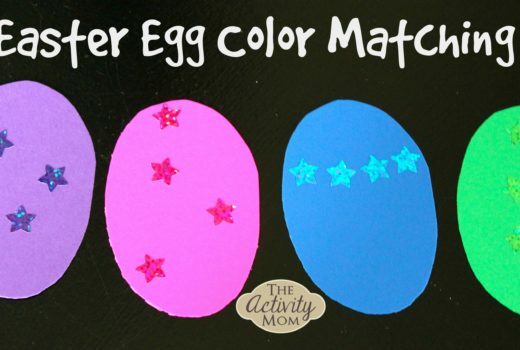 Make sure to have a space to write the actual numbers to see how well everyone estimates! Next, we sorted them into groups of 10’s to make the counting process easier, as well as practice counting by 10’s. 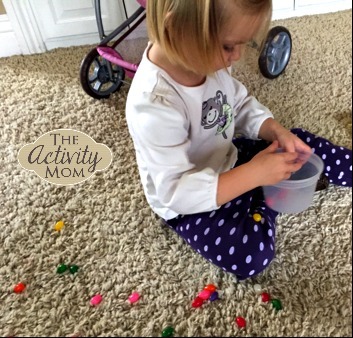 I had my 2 year old try to sort her jellybeans by color, so she could have a job as well. 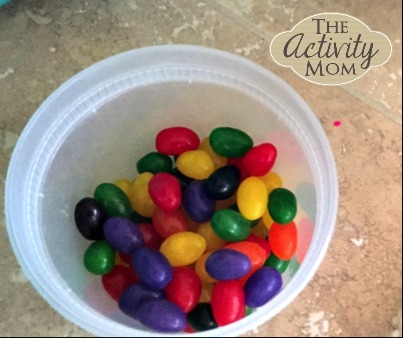 We used plastic storage containers to make groups of 100, 10 sets of 10 jellybeans. 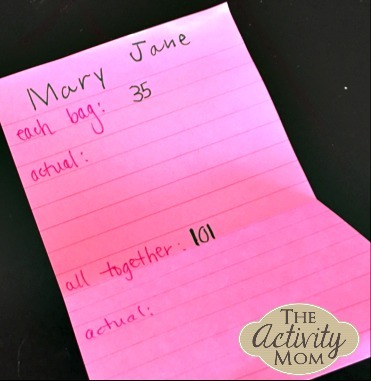 This made our total count much easier, and more accurate. 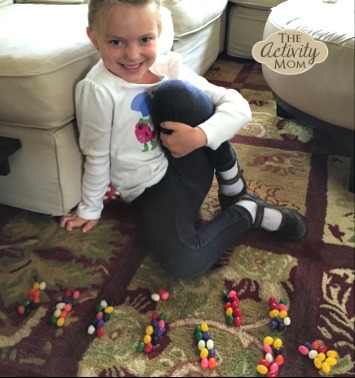 The girls were surprised and excited at the amount of jellybeans it took to “fill” our centerpiece. We compared our estimates to the actual numbers, and then dumped the containers of jellybeans into the glass container, putting a candle in at the end. Lots of math skills, lots of fun, and a colorful centerpiece when we were finished! !